In such a competitive scenario, Industries are more concerning about raising the quality production. Industry pundits are committed to deliver best quality product to their customers because they don’t want to lose the customer to divert attention towards similar product offer by other manufacturers. Henceforth, they always keen to improve the quality of production to minimize defects and money loss occurred due to manufacturing flaws. Industries have already given face lift to their manufacturing units and equipped them with advance machinery to improve quality of product. There are also various method can help to improve the quality of production besides atomization and robotic machinery. In this aspect, improvement of floor condition is essential part to provide ambient working environment and aesthetics of shop floor. Floor coating improves the visibility and gives ideal look to deadly looking concrete floor. It creates operation friendly environment, where operation people can carry out the job hassle-free. Below few important points which give floor coating advantage over normal cement concrete floor. Floor coating improves light level and brightness thus easy operation on complex job. It gives uniform stability to floor and can withstand under heavy machinery and medium vehicular movement. Floor coating is ideal choice for those industries, which adhere to keep the floor hygienic and dust free. It is easy to upkeep the housekeeping as dust; small particle can be wiped away easily. No need to stick to the single colour offered by concrete floor, select among several available colour and pattern. It is therefore, useful designating the places for machinery and gangways. Floor coating itself is long lasting product and can sustain up to 10 to 12 years in ideal condition. Floor coatings are water, skid, abrasion, chemical and thermal shock resistance. Epoxy coating is rigid, tough and can sustain under heavy load, therefore preferred for commercial and industrial sector. You can choose epoxy coating for wall, floors and other surfaces such as tanks, slabs and material stock floors. It is mix of epoxy resin and application does take less than 72 hours coating 3 different layers including final coat of epoxy. Epoxy coating is widely adopted product, which can sustain under heavy load and better quality can be achieved by maximize the thickness of layer. However thickness depends on the use of flooring area as oil spillage, chemical contamination and abrasions may ruin the coating if thickness of flooring will not maintain as per requirements. 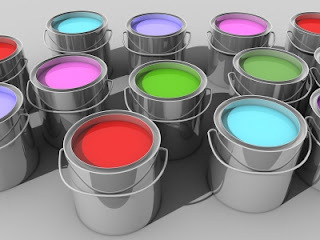 PU based is another type of coating application, which is cheaper than epoxy coating. It is suitable for non-commercial flooring such as office floor, flats and home. Same as epoxy coating it is apply in three different layers but you cannot achieve greater thickness using polyurethane flooring. It is not as effective as abrasive and chemical resistance coating than epoxy based coating. It definitely perk up your home flooring experience as it is available in many colours and provide great sustainability to wall and flooring. PU coating not only offer glossy look and smooth finish, but help you to maintain floor cleanliness as sticky stains can be cleaned easily. Floor coating is advantageous as it requiring simple efforts to maintain and upkeep, even normal sweeping activity and cleaning with water will keep the coating look great for many years. Thanks for sharing these colorful tips, really good. Really awesome article. Thanks for sharing this.